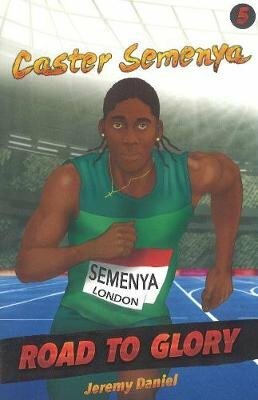 In the fifth book of the Road to Glory series, Jeremy Daniel shows us how Caster Semenya developed into a world-class athlete. Growing up in poverty in Limpopo, Caster's early experiences at school are marked by many ups and downs: while her friends and family accept her for who she is, she is constantly bullied for her appearance. But she discovers soccer and immerses herself in the game – even making the boys’ team. It is only after she enrols at the University of Pretoria that her life changes completely. Away from village life, she impresses on the track and is noticed as a talent, eventually meeting Coach Daniels in whom she finds a trainer and mentor. Battling controversy over her gender on the track and in the media, she nevertheless goes on to win gold at the 2016 Olympics, becoming an ambassador for South Africa.